Attitash Mountain Village is a four-season family resort nestled in the heart of New Hampshire’s White Mountains. 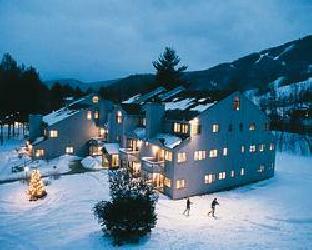 The resort is directly across the street from Attitash and Bear Peak for world-class downhill skiing. For summer recreation, the area includes New England’s favorite Alpine Slide! Along with water park, horseback riding, golf range, etc. Also enjoy the on site indoor and outdoor pools, Jacuzzis, workout facility, tennis courts, hiking, biking, cross-country trails, canoeing and fishing in the Saco River.